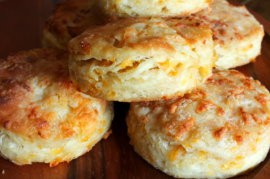 Cheddar Biscuits | Tasty Kitchen: A Happy Recipe Community! 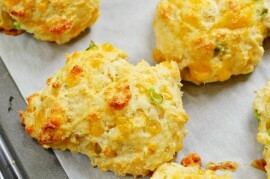 Flaky and tender biscuits with tons of cheese. 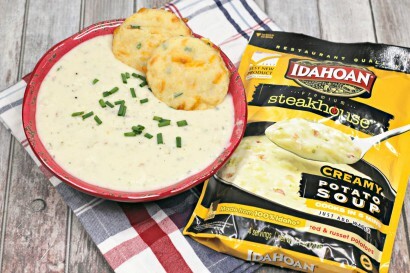 The perfect side dish for any meal! In a large bowl, combine flour, baking powder, baking soda, sugar, and salt. 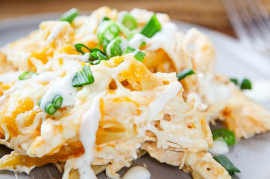 Stir in cheese and chives. Flour a cutting board and dump biscuit dough from bowl onto it. Knead batter for several minutes. 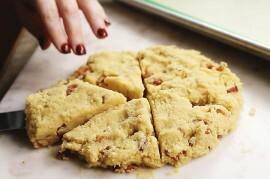 Work the dough into a square that is about 1½ inch thick. Use a round cookie cutter cut as many biscuits as you can. 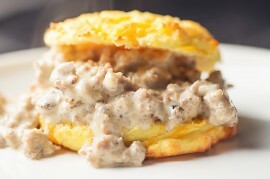 Place the biscuits on the sheet pan. 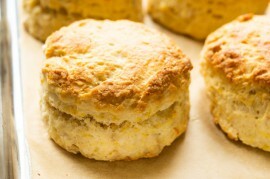 Place in oven and bake until tops are golden brown and crisp, about 10 to 15 minutes.